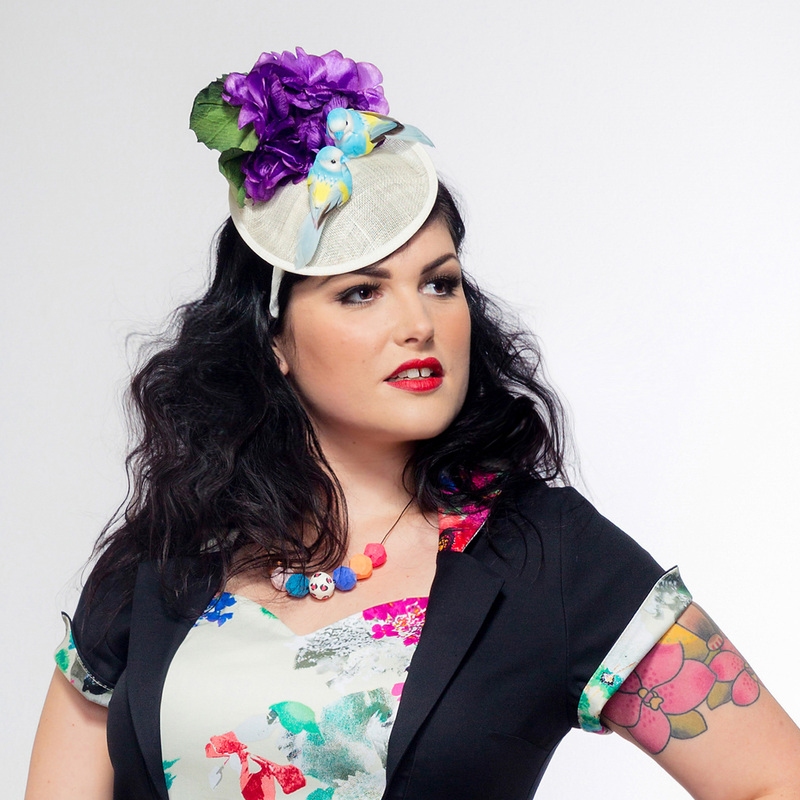 Lulu is wearing the Love Nest Fascinator, featuring two loved up budgies and a purple silk Geranium. This headpiece compliments the Celia Peplum Dress seen here in BLACK/garden. This easy to wear headpiece, just slips on your head with a head band..voila!